Paul and his team recently installed a high-end kitchen and bathroom vanity in our newly-renovate house and a number of custom made wardrobes and shelving. 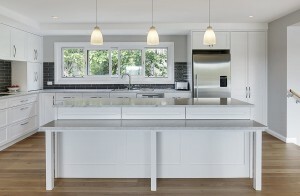 Paul brought great ideas to the table and designed an outstanding kitchen which is the centrepiece of the house. The quality of the installation is precise and exacting and we are extremely pleased with CTI.Timothy Lee, April 2019, Annandale. 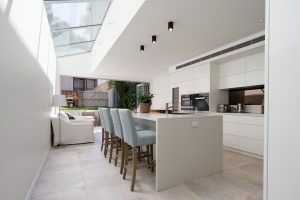 Our dream was to create a continuous kitchen-dining-living space where our friends and family felt connected to Sydney harbour and each other. 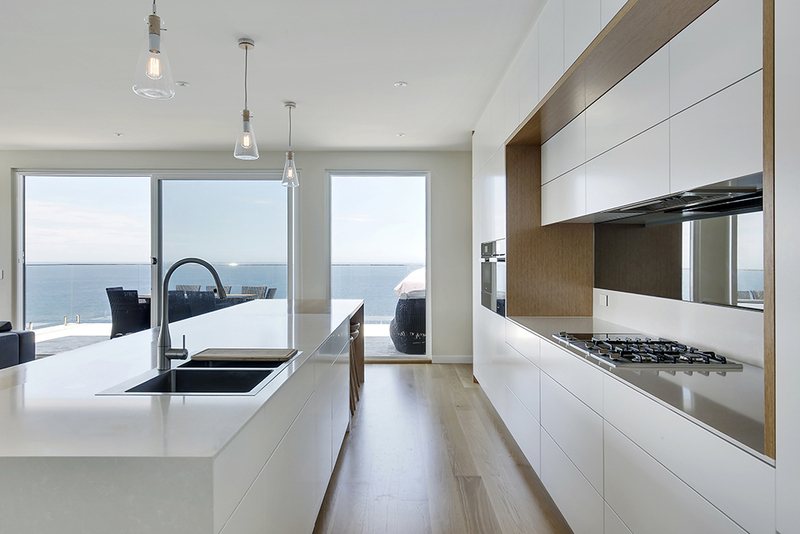 CTI Kitchens helped us achieve our dream. Before renovation, our kitchen was a 1960’s concrete box – an island for traditional women segregated by food preparations. 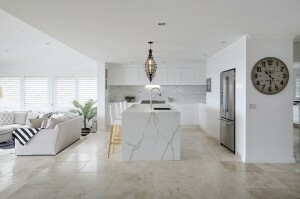 Since renovating, we now can entertain over 30 people in our small unit, where guests can enjoy a cocktail overlooking the water’s edge, because we brought the outside in, and integrated and connected our entertaining spaces with the harbour balcony. 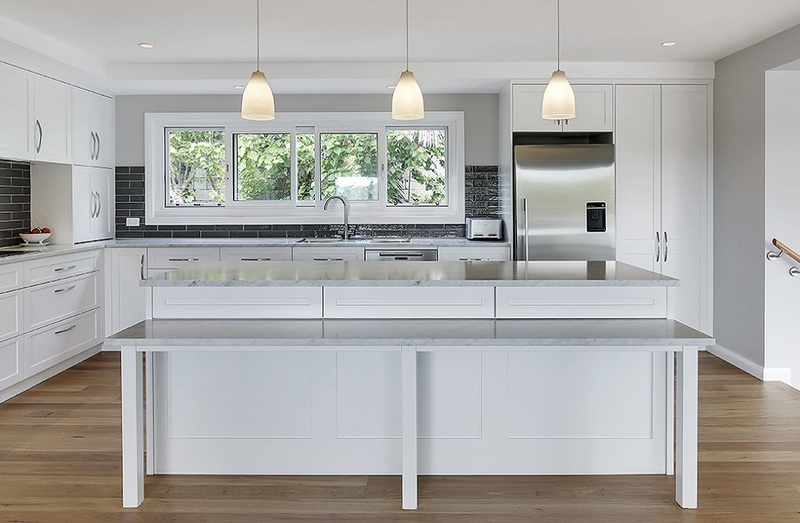 Before CTI kitchens, we had tried multiple other companies, who had told us what we wanted wasn’t possible because our plans didn’t fit with conventional pre-fabricated cabinet dimensions. Paul really listened to our needs and vision. He delivered exactly what we wanted plus enhanced our design by choosing to understand our taste and interests. 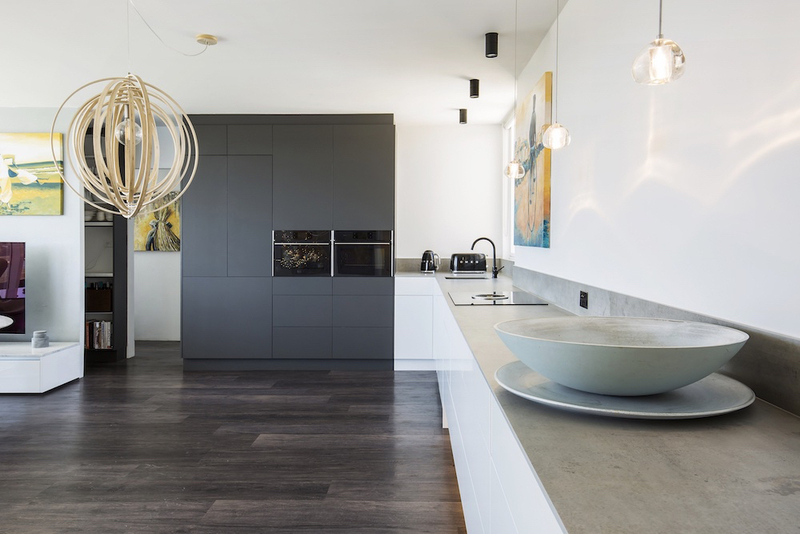 We love the canter levered cabinets and down lighting, that make the room look bigger and add sophistication. We love the fully integrated fridge concealed behind dark cabinets that make the big appliances appear smaller and recede away. We love the walk-in pantry, that hides a multitude of sins. We love the down draft stove exhaust fan, that eliminated over bench head-high cabinet weaponries and greasy unenviable exhaust grills. We can’t recommend CTI Kitchens highly enough.Iona & Paul Novak, March 2019, Manly. 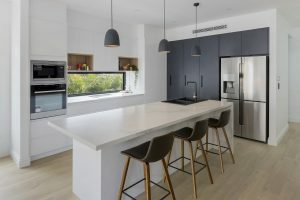 I recently had a new kitchen designed and installed by CTI Designer Joinery and my family and I cannot be more thrilled with the final result. 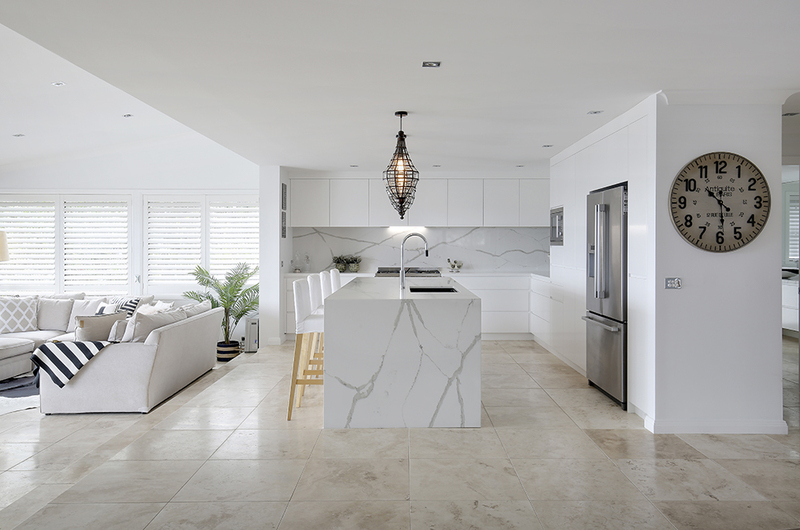 My new kitchen was part of a major home renovation where it would be an integral part to the overall renovation and would literally be the heart of the home so I really wanted to ensure that the final result was perfect and indeed it was! 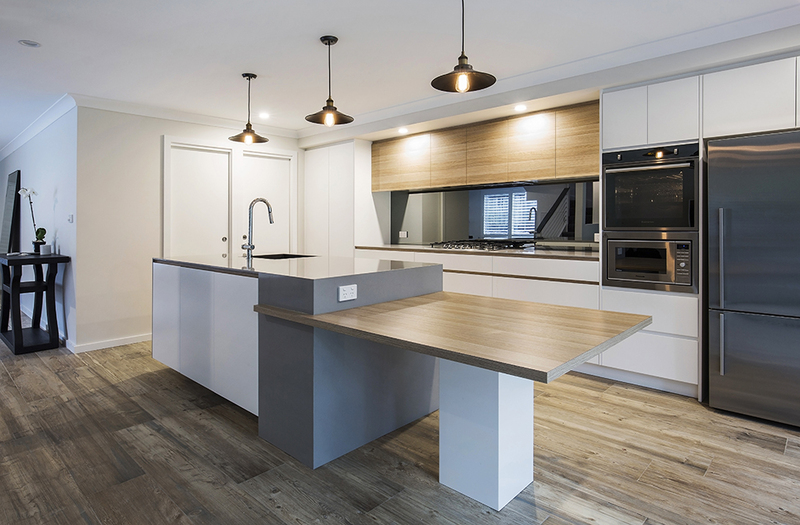 I was fortunate enough to be recommended Paul at CTI from a work colleague and from the get go I was impressed by his professionalism, knowledge on kitchen joinery and collaborative approach. He nailed the brief that I gave him with my mood board and ideas of wants and wishes. The innovative tools he was able to use such as 3D imagery bought my ideas to life and made the planning process so much easier. 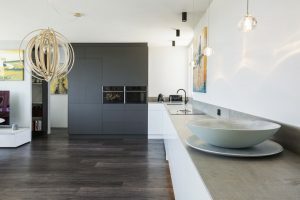 Paul was receptive to my ideas whilst at the same time offered useful ideas, alternatives and advice on kitchen functionality that was invaluable. My kitchen is beautiful, but most importantly functional, with a place for everything and everything in its place. Paul is meticulous with each mm of measurement. The plans that he provided were detailed which also impressed my builder. 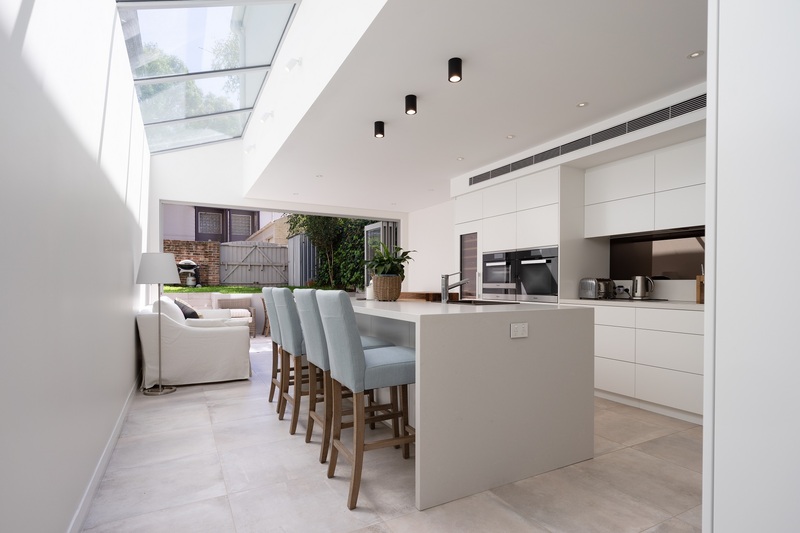 Nothing was left unthought of, from the detailed electrical plan to timing of the install, CTI Designer Joinery made my kitchen renovation a seamless process. Paul was so patient with my numerous changes and questions and helped me work towards my budget.